What’s Gone Wrong at Our Schools? It’s Not What You Might Think! So much has been written in recent years about “problems in education” – especially in California given its very low ranking among the fifty states. Statistics cite student achievement in the United States at the national level as inferior to that of many other countries, particularly in science and math. The trends behind the statistics are relatively recent, spanning perhaps only three or four decades. The causes for such flagging performance are endlessly debated in print and on the internet, and the two most-often cited “reasons” are: Poor schools and poor teachers. 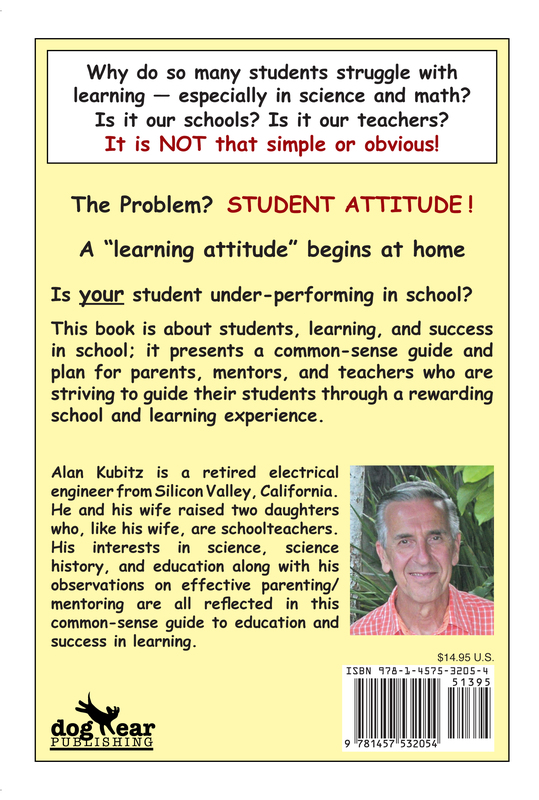 The home-preparedness of many students and their eagerness to learn is sorely wanting; the necessary remedy is best summarized as “positive student attitude.” Too many children are sent to school ill-prepared to be “receptive” learners in a classroom environment. Short attention spans are both symptom and cause. Who is to blame for that? Today, the answer is: “The parents or the guardians” of the children. The rarely-spoken truth is that student nurturing begins not at school, but at home – even before kindergarten – and support from home must continue throughout the student’s early education. To the many adults who find themselves guardians of someone else’s biological children, I say, “You are to be commended for assuming the responsibility of raising these children and taking on the added burden of nurturing their education.” Clearly, the sizeable increase of incomplete or broken homes with single parents or grandparents at the helm has had its impact on the schools, but the message applies equally to intact families which are not instilling a respect for learning and knowledge in the children at a very early age. This is so important to fostering a positive “student attitude” in the classroom, which, in turn, drives teaching effectiveness! I watched an excellent PBS news story last night on the Chicago school system where 50% of new teachers leave within three to five years – many burned-out and devastated by their experience. Chicago has some unique challenges, but similar situations exist elsewhere. The message, here, is not tailored to Chicago or any other specific locale. I believe the problem of ill-prepared students (from home) is, today, endemic to all areas of the country. There are many layers to the education-problem onion, but what is resoundingly clear is that teaching is no longer the attractive career it once was for recent college graduates. 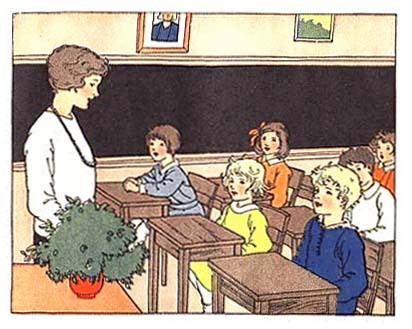 The growing scarcity of seasoned-veteran, effective teachers throughout the nation’s schools has not been the cause of our educational dilemma so much as it is a result of problems in today’s classroom which discourage the best and brightest from entering the field. There are, indeed, some faults in the educational establishment, but in continually rehashing these, we persist in ignoring the issue of “student attitude” and its importance in the success of our schools. Perhaps worst of all, we miss the explicit messages sent about the priorities and attitudes of today’s go-go society and their effect on our students. -Instill genuine curiosity, a love of learning, and a respect for knowledge in children before they arrive at kindergarten – and continue the nurturing and support from home throughout their early school years. -Realize that the technology behind the internet and the pocket-electronic marvels we all carry represents a double-edged sword that cuts two ways: Use it judiciously, and it can further your noblest aims; use it frivolously, and it will waste precious time on purely temporary diversions. Regulate your children’s use of these devices! Accumulating easy-to-grab “factoids” from the internet is no substitute for genuine curiosity about our world and the in-depth critical thinking skills necessary to service that curiosity… and open yet new doors for investigation. -The best advice of all to parents: Bring back the dinner table, where the entire family assembles at a regular time and place, ready for food and stimulating verbal conversation, cell phones and television OFF. 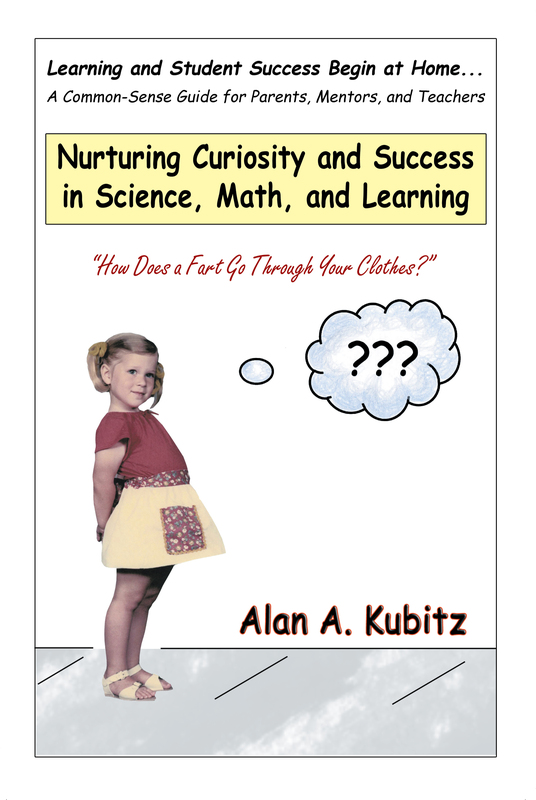 The family dinner table is the crucible for instilling curiosity and a positive “student attitude” in our children. 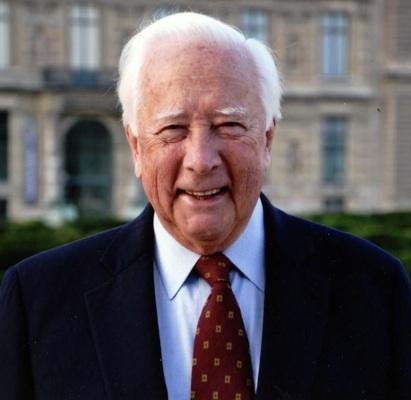 Sunday’s 60 Minutes television program highlighted author/historian David McCullough – a wonderful look at a fine writer and a man of common-sense. In the interview, he bemoaned the historical illiteracy of today’s students, recalling one mid-western college student who came up to him after his talk stating that she never realized that the original thirteen colonies were all on the east coast! McCullough ultimately blamed “the parents” for such shortcomings on the part of today’s students. He, like me, views the family dinner table as the starting point and ultimate tool for the education of our children. Bring back “the dinner table,” he beseeched. Alas, such notions have disappeared entirely from so many households, in today’s go-go society. 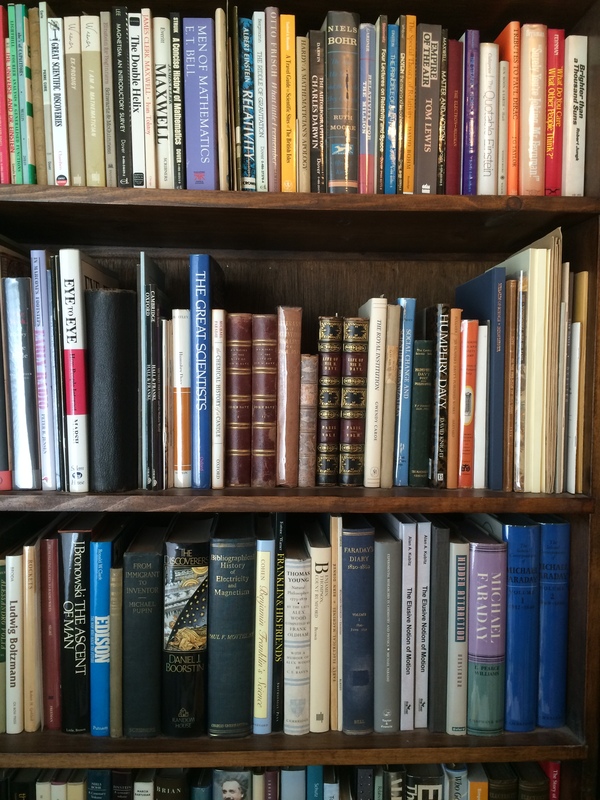 I am nearing completion of the manuscript for my next book which will be based on the subject matter contained in this post. 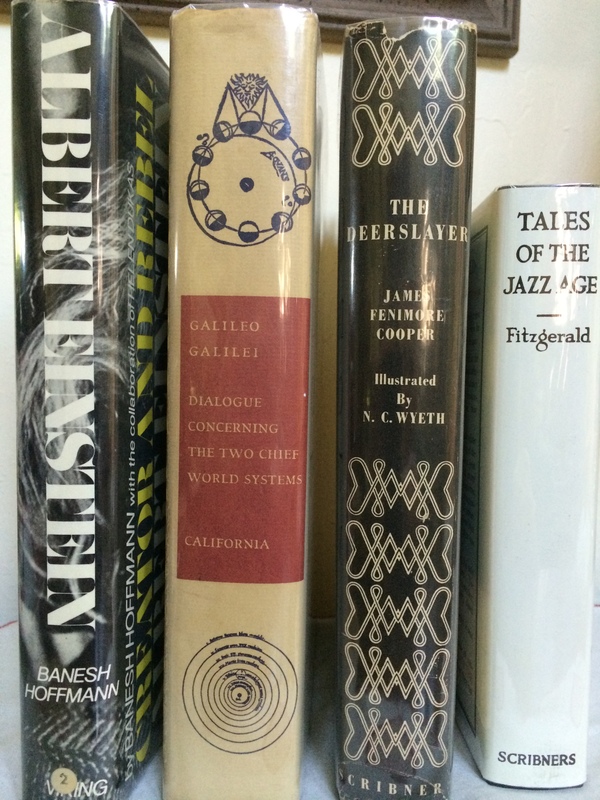 In its pages, much more detail on the material will be forthcoming. It will further amplify the contention, briefly stated here, that the foundation for the successful education of our children is wise and active parenting/mentoring. Without it, the schools will never be as effective as we would like them to be.